Lowest Diamonds Prices In The Capital District. Custom & Classic Engagement Rings Set With Diamonds & Colored Stones. Fine Swiss Watch Sales & Repair Services. Harold Finkle Your Jeweler is a full-service jeweler. 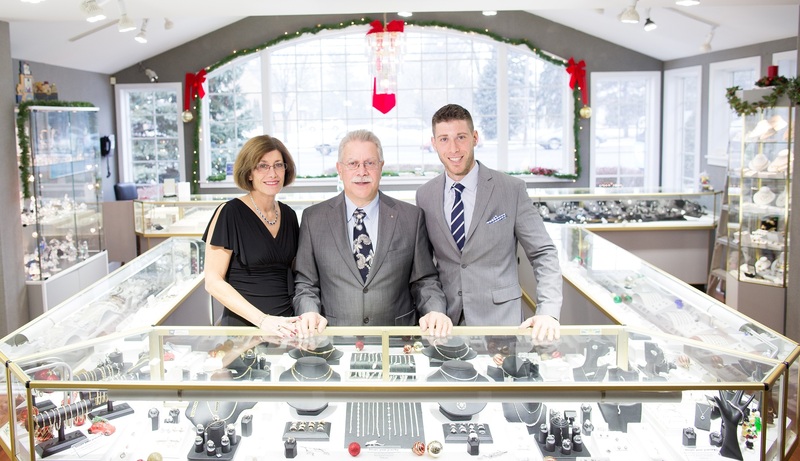 Our team consists of GIA Graduates, Certified Rolex Watch Makers, and Bench Jewelers with over 30 years of experience. Need help to find that perfect jewelry gift? Please call and talk with Your Jeweler. Customer service and consultations are always offered at no charge to our customers. Learn About The 4 C’s Of Diamonds & Search For Your Perfect Diamond! Insurance, Estate, & Liquidation Appraisals Done By GIA Graduate Gemologist. Jewelry & Watch Repairs Done On-Site! Custom Designs To Battery Changes. Harold Finkle Your Jeweler is located in beautiful upstate New York. Harold Finkle Your Jeweler has been “your” family jeweler for over 80 years. Your Jeweler offers a professional, friendly environment with impeccable service. Discover quality jewelry, timepieces and keepsakes that you can proudly hand down from one generation to the next. Harold Finkle Your Jeweler has a sterling reputation for quality jewels and personalized service. Whether it’s a beautiful three stone anniversary ring or a simple repair, every customer is special at Harold Finkle “Your Jeweler” in Albany.